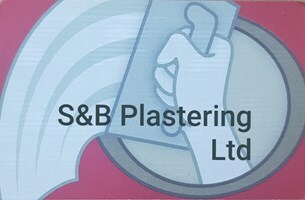 S&B Ltd - Plasterer based in Chessington, Surrey. We are reliable and insured! Call the professionals at S&B Plastering for outstanding plastering and rendering work. We offer a reliable and efficient service at an affordable price. A lot of our work comes from recommendations and happy clients, therefore we take pride in our customers satisfaction and boast an unrivalled attention to detail. We have been one of the choices for plastering in London for many years. As well as all aspects of internal and external plastering, we're experts in roughcasting, render work, chimney work, tiling and all general building work. Give us a call for a free no-obligation quotation, or for free help and advice. * Quick response time answering quotes. * We clean up after ourselves.